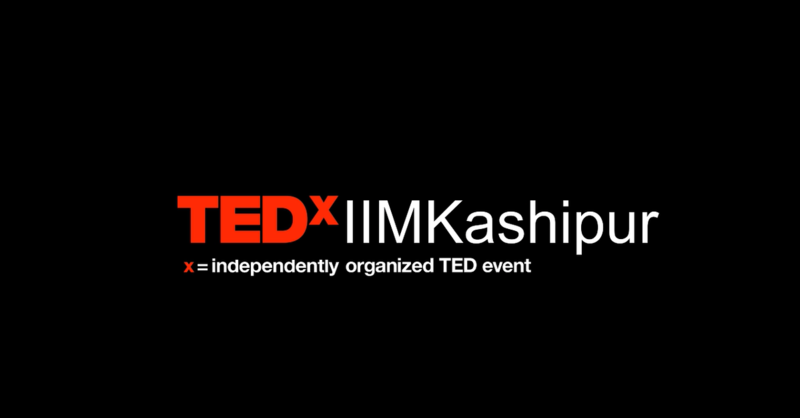 Indian Institute of Management Kashipur (IIM Kashipur) is hosting the Fifth edition of TEDxIIMKashipur, an independently organized TED event, in the city on 19th January. The ongoing TEDx journey in IIM Kashipur that started in 2014 is being organized this year with the theme “Beyond Conformity” with eminent speakers with diverse backgrounds from across the country who are going to share their ideas and professional experiences. The panel of distinguished speakers at the IIM Kashipur TEDx event includes social activists like Mr. Manvendra Singh Gohil, a LQBTQ activist and prince of Rajpipla, Gujarat and Ms. Jo McGowan Chopra, the founder of Latika Roy Foundation which works for children disadvantaged by poverty and disability, environmentalists like Padma Shri awardee Mr. Jadav Payeng popularly known as Forest Man of India who single-handedly planted a whole forest in Assam and Mr. Anoop Nautiyal, Founder of Gati Foundation, a research and policy-oriented think tank, Mr. Ashish Joshi, CEO- Classic Legends which has recently reintroduced JAWA Motorcycles in the Indian market, Ms. Nouf Marwaai, a Padma Shri Awardee and Founder of Arab Yoga Foundation who was instrumental in Yoga getting official recognition in Saudi Arabia, Ms. Peenaz Tyagi, journalist and editor at News Nation, Capt. G.R. Choudhary, a Prisoner of War (1971 war) and retired Navy Officer, Mr. Vikram Agnihotri, India’s first double amputee vehicle license holder, and Mr. Eshan Hilal, India's first male belly dancer. The event TEDxIIMKashipur is a celebration of those who dared defy the norms of the society to carve their own path had a lasting impact on the audience which also included school children of the nearby government schools.